"The world needs to see how brilliant he is!" Last week, plumber James Reynolds was called out to a routine job at a home in England. But upon arriving, things took an adorably unexpected turn. 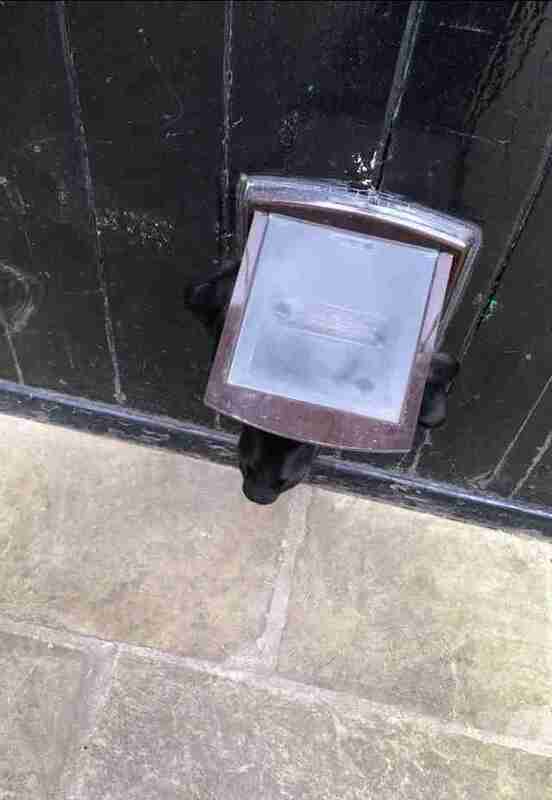 Much to his surprise, Reynolds noticed a friendly dog's head emerge through a cat flap at the base of the door. The plumber then did what anyone would do — not realizing he was about to get roped into a game of the pup's design. "I gave him a quick stroke, and he disappeared," Reynolds said. "That’s when he returned with his ball and dropped it for me." 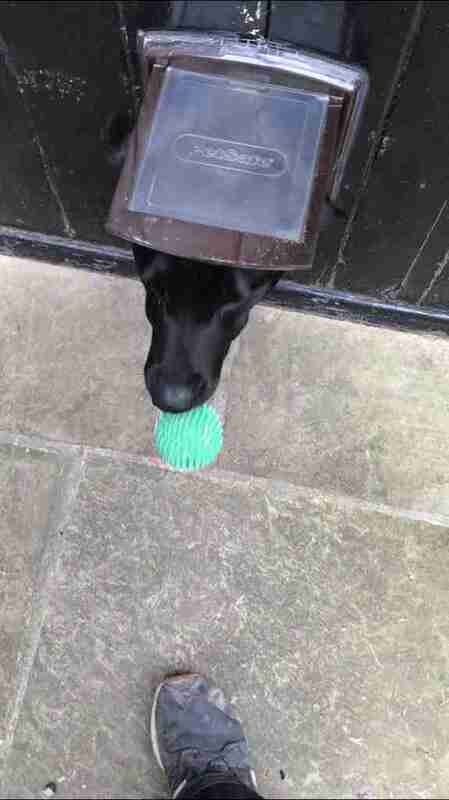 "I thought, 'I’m gonna look a right weirdo if the customer opens the door as I’m posting a ball through her cat flap.' But I did anyway!" Reynolds said. "To my amusement, the dog just kept doing it. I just thought, 'I need to record this!' The world needs to see how brilliant he is!" After a few minutes of this game, the homeowner finally came to the door. Reynolds was quick to explain what he'd been doing there with her dog: "I told the customer, and she just said, 'Yeah, he does that.'" Once inside, Reynolds got a proper introduction to his playmate and set about the job he'd been called to do, his day having been thoroughly made. "I would've loved to have time to play with him more, but I had to get my work done," Reynolds said. Fortunately, Reynolds expects to be back at the house for more work in the future — and if he arrives to the next appointment a few minutes early than scheduled, it's fair to say there'll be no mystery as to why.